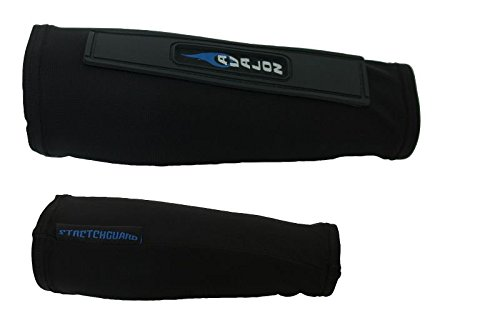 The Sportflight is a 25-pound recurve Archery Starter Set featuring an all-new soft touch grip, an ambidextrous reinforced handle & foam boss - appeal to adults and children alike. 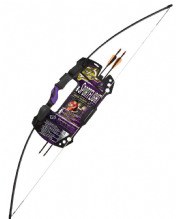 The Sportflight is a 25-pound recurve Archery Set featuring an all-new soft touch grip, an ambidextrous reinforced handle - appeal to adults and children alike. 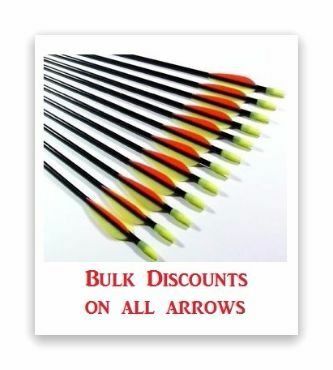 Silco 44" Family Garden Bow This is a youth bow that can be used by the whole family, get out into the garden and have some fun! 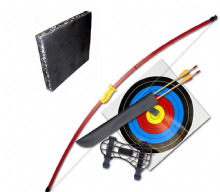 Silco 44" Family Garden Bow - 6 Arrows & Extra Targets This is a youth bow that can be used by the whole family, get out into the garden and have some fun! 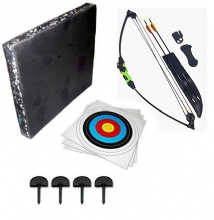 Silco 44" Family Garden Bow - Full Starter Kit with Foam Boss This is a youth bow that can be used by the whole family, get out into the garden and have some fun! A fantastic all round family garden bow. Takedown - easy to store and assemble. 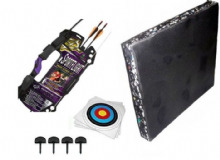 Complete beginners starter set - Wildhawk Compound Set is a 18 pound compound bow featuring an all new soft touch grip and an ambidextrous handle.